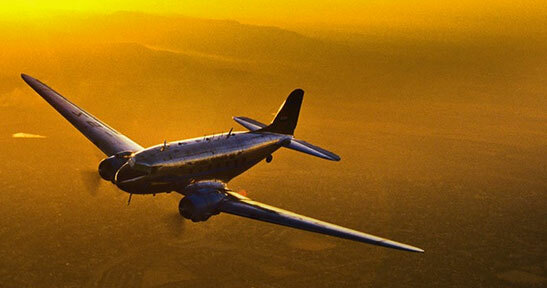 WPPI 2012 took place during the past week – as always, a crazy-hectic and exciting event. I once again presented a Master Class at WPPI. But I also took time to present a private mini-workshop to the first 3 people that signed up. We went over a condensed version of my full-day workshop, covering most of the material in the 4-hr long mini-workshop. Like last year, I called on my favorite model in Las Vegas, Shawna. Actually, she has since moved to L.A. but she was quite happy to make the trip back to Las Vegas to be our model. The start of the practical part of the flash photography workshop is always on-camera bounce flash. For this article, I thought I’d use some of the demo photos, to show that there is a consistent technique here. 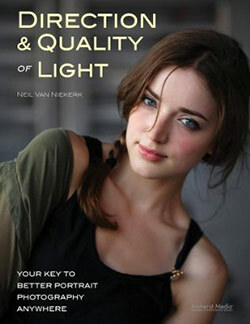 A consistent approach that guarantees at least a successful basic portrait with nice light and a pleasant background. The pull-back shot to show where we were shooting during this part of the mini-workshop – my hotel room. Nothing extraordinary there. But by eliminating everything you don’t want in the frame, and choosing a specific background, a simple flattering portrait is easily achieved. One thing I’m particular about, is that my background should be complementary, or non-intrusive. A fast telephoto zoom is an indispensable lens for me in compressing the perspective when shooting a portrait. assuming your subject is under-exposed, and you can pick up the exposure of your subject via additional light such as flash. I wanted the background to not blow out (via over-exposure), or be too dark. So I metered for the background, zero-ing my exposure meter in my camera, while looking at just the background. 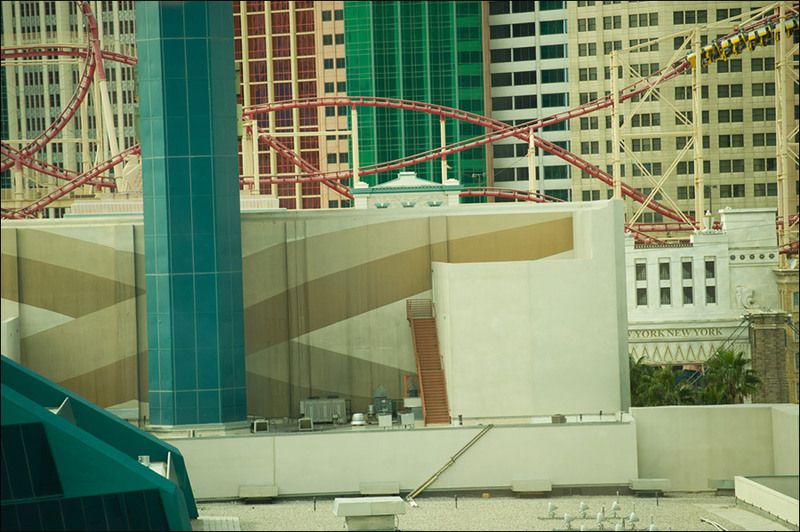 The turquoise tint here is due to the green-ish tint to the windows of the MGM hotel. If I hadn’t based my exposure specifically off the background, but chose random settings, the TTL flash exposure would still give me correct exposure for my subject. 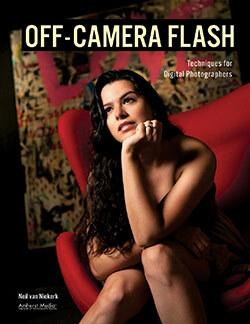 This is important to realize – TTL flash exposure will follow your camera settings. 1/250 @ f4 @ 800 ISO … and the TTL flash exposure adjusted for the change in settings to still give me correct flash exposure. Just to make a note about the background again – I framed tightly, and I crouched slightly, so I could avoid the bland rooftop areas which were industrial looking, and not attractive. So I specifically framed Shawna against the out-of-focus fake-New-York skyline there in Las Vegas. The colors and shapes aren’t intrusive, and helps in giving the final photograph even more color. 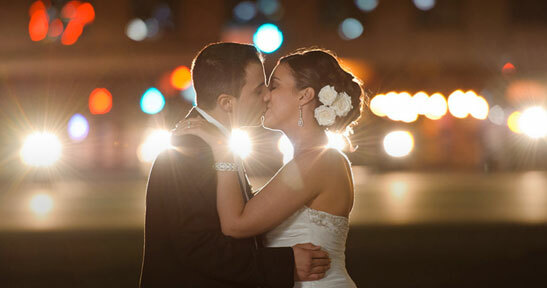 There isn’t much more to add about the flash photography itself since I used TTL flash. The TTL exposure mode, as controlled by the camera & speedlight, helps considerably in making flash photography easy where I can concentrate on the final image. If there had been under- or over-ecposure, I would simply have adjusted my Flash Exposure Compensation up or down. There it is – a consistent approach that gives me a basic portrait that always works. A good starting point. I’v been your fan since 2010 and learned lot’s of flash skill from this site.Thank you! Thanks Neil. Great portraits from what appears to be a limited setting. Food for thought for me..
Hey Neil, thanks for the great info. I’m using a d90 w/ sb700 and am fairly new to this so could you give me a few pointers? -How do you meter for the background but focus on the subject, are you using AF or MF? -And for the flash, are you just bouncing off the ceiling in this shot? I was in manual exposure mode. I metered for the background. Because my settings are now fixed in manual exposure mode .. I could then change my position and find the composition I wanted, and position my on-camera flash’s bounce direction as I needed. she is beautiful and it was nice to see you didnt “push” the spinlight 360. Nice to see someone with integrity and skill. Interesting article. One question. You used the BFT, so what is causing the catch lights in her eyes? Dave … I bounce the flash into the direction I want the light to come from. And I am trying to use the flash as if it will create a big softbox exactly where I would’ve placed a softbox in a studio environment. As such, the catchlights should be there nearly predictably. More on why you see catchlights in the eyes when you bounce flash like this. Winston .. nope, this was with on-camera bounce flash. So no radio slaves were used. Such a simple technique and such great results. 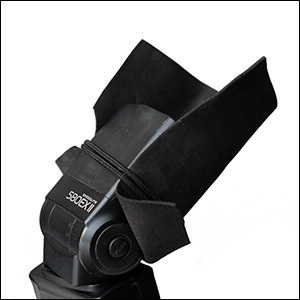 The catchlight comes from the flash bouncing off the surfaces – the ceiling and/or walls. Thank you for the excellent workshop! For having followed your blog and read both your books, there were still plenty of “Aha!” moments throughout the day. Definitely a worthwhile investment that left me with a lot of food for thought. And I’m glad you didn’t end up hitting those two girls in public; 90% of the people on the Strip had cameras this week, so that could have been bad. This is one those great posts that summarizes the detailed bounce flash knowledge you have posted in the past. People really ought to bookmark this. It’s definitely good that you still use the BFT for your workshops to show that you can still get fantastic photos with low-tech items. Like Anthony, I really enjoyed the workshop. I appreciate the time you put into your presentation and the one on one time you spent with each of us. It was a real bonus to have a beautiful model that we could shoot in various conditions. Thanks again for the experience. Is it the BFT the prevented any glare off the glass window, since no direct flash was hitting it? Yes, the BFT reduces the chance of me seeing the flash’s glare in the window. But it also depends on me shooting at a slight angle to the window, and not standing perpendicular to the window. I don’t want any part of the interior of the hotel room that is partially lit by the bounced light, to appear as a reflection. Since you use a telephoto, did you bounce the flash off of the ceiling and left wall IN FRONT of where you were standing? John … exactly! I was bouncing my flash slightly towards her, by bouncing off the wall and ceiling above her (and to camera left). And I also posed her so that her shoulder was pointing to the light, and her head tilted into the direction of the light, so that I could get (or at least approximate) short lighting. Have you found any TTL mode more consistent than the other for bouncing – plain TTL, or TTL BL? I tend to be in TTL mode, and not TTL BL. For the final image did you direct your flash over your shoulder to the left? If I had bounced behind me, the light would be more flat, since it would be coming from behind me. 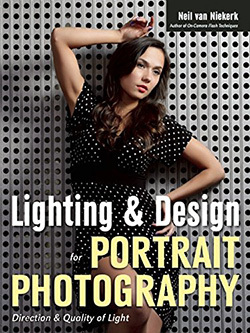 Follow this article on short lighting, to read more about how I chose where to bounce my flash off. What flashgun did you use? 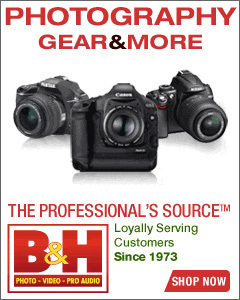 If it was a Nikon – was it TTL or TTL-BL? I’m probably being stupid here with these questions, the 4th shot had these settings – 1/80 @ f3.2 @ 800 ISO – that was just shooting to expose the subject correctly without any care for background? However the fifth shot had these settings – 1/250 @ f4 @ 800 ISO – that was the correct exposure for the background? and you simply added fill flash to that? Finally hwy do you shoot at ISO800 as opposed to ISO400? Is that just so the flash doesn’t ahve to work as hard? I used the Nikon SB-910 speedlight (B&H), and I would always recommend getting the larger more versatile speedlights in any make. As I just posted elsewhere here, when I use my flash as a dominant light source, I tend to be in TTL mode, and not TTL BL. 1/250 @ f4 @ 800 ISO were my settings based on the background. Then I added bounce flash to her. She would’ve been severely under-exposed. With that in mind, the flash here isn’t mere fill-flash. The flash is a dominant / main light source. But in choosing my settings like I did, I could balance the exposure on her, with the correct / pleasant exposure for the background. Thanks for the article, Neil. I recently discovered your blog and became an instant fan. 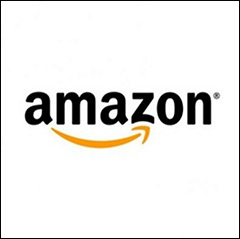 In fact, I’ve just purchased both of your books and look forward to reading them. In trying to shoot a scenario similar to this I’ve run into the situation where if I meter for the background using my camera’s fastest sync speed of 1/250, I have insufficient bounce flash power to properly expose the subject. Is there a way around this, other than find a less bright background? I shoot with a 580EX II and a 7D. Mike .. exactly. You’ve run into a scenario there where your bounce flash just isn’t capable of delivering enough power. You’d need a much much larger flash, and a better way of delivering the light, than bouncing it. Or you would have to change to a different place where the background is less bright. Neil, you have the gift or ability of “using creativity to find backgrounds where none seemingly exist”. The links in this article, under “1. Find your background”, shows it clearly. These are inspiring articles, as it provide solutions to a nightmare type problem. I believe you can write an excellent book on composition. 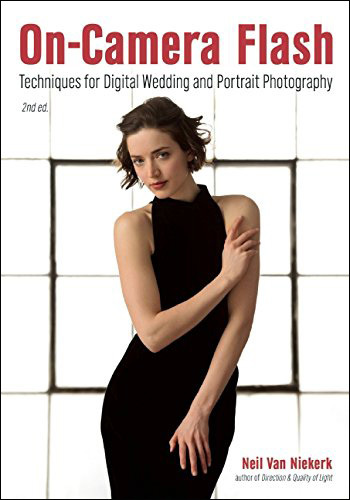 Your flash photography books are one of a kind (nothing else compares with it), and I believe you can do the same with composition & backgrounds, with a focus on practical implementation, using flash where necessary. Marcel … thank you, you just gave me an idea that I might have to change the direction of the book I am currently writing. Hi Neil, another fab article. Just want to clarify. Meter the background until it arrives at the tones and brightness you want but was the flash dialled down or left with zero compensation? Paul … the technique is exactly as you describe it there. As for the flash compensation, as far as I can recall was set to 0EV. The FEC has to be around 0EV here, because the flash isn’t mere fill-flash. Neil – Thanks for taking the time to respond. When we brought up our pictures we did at your workshop in Vegas, the background of the MGM/New York colors were more blue than green but Shawna’s skin tones were similar to yours. Was that because I was at a Tungsten white balance with the CTS gel on the flash and this makes the open shade outside blue? Thanks in advance for the comments and again for a great class. Steve .. that would be the reason. The gel shifted the WB of your flash. I thought I should add this photo, taken by Anthony Mojica. I am fairly comfortable with your bounce techniques except for the white balance settings The skin tones here seem a little warm for the flash setting but the daylight portion seems “normal”. Did you use a CTS gel to warm the skin tones or change white balance to cloudy. If you are writing another book for my collection could you expand it to include more of your white balance techniques? Gene .. I have the skin tones here quite warm. That’s my usual preference. I think I take it too far some times though. Now, regarding the idea that the skin tones here are too warm for Flash WB, but daylight seems normal … keep in mind that I shoot in RAW. Therefore the idea of a specific WB preset on my camera, falls away. I can change my WB to anything afterwards. And I do adjust the WB as a matter of course with my post-processing of the RAW file. I didn’t use a 1/2 CTS gel here, but as one of the workshop attendees mentioned, he did, and the background color was different as a result. And yup, I am busy with my next book! Naftoli … I could’ve shot at a lower shutter speed, but not if I wanted the background to appear like that. The lower shutter speed would’ve forced me to adjust my aperture / ISO combination for those 2 stops difference … and then my flash would’ve had to dump 4x as much light to give me the same flash exposure to maintain the same ambient-to-flash ratio. Currently enjoying both your books as well as the website! You strongly recommend a fast telephoto zoom, but what typical length are you using in this type of photo please? I am looking at the 80-200mm F2.8D as I cannot afford the 70-200mm VR-II but as I have a crop sensor DX (Nikon D7000) I am concerned it may be too long for many rooms. Are the effective 105mm (70×1.5) and 120mm (80×1.5) minimum fields of view going to be a little unwieldy indoors in rooms like this and other this examples? Would the older 35-70mm F2.8D or a 85mm F1.8 be a better starting point? Ivan … I agree. I’ve always felt the 70-200 focal range makes the most sense (for portraits), on a full-frame camera. It’s just too tight usually on a crop-sensor camera. However, at 70mm it is wider than the 85mm lens you propose, so the zoom would still be the better choice there. A medium-range zoom like the 24-70 or 28-70 makes more sense as a portrait lens on a crop-sensor camera. Learning a lot from reading comments and questions, but being quite new to this, there is something I’m not sure I understand. Why ISO 800 with such a bright background? Theresa, the background wasn’t that bright. All I could get at f4 was 800 ISO. The tinted glass cut down a lot of the bright light. I could’ve gone to f2.8 and 400 ISO, but I wanted a bit more depth-of-field than f2.8 here. Then also, 800 ISO isn’t a high ISO on the Nikon D3s. I happily live there when I shoot in light that isn’t super bright. you said… “I was bouncing my flash slightly towards her, by bouncing off the wall and ceiling above her (and to camera left)” so, are you bouncing flash off the browish wall and bold coloured print as seen in your pull-back shot and if so I would have expected a colour cast on your lovely model? Thanks for making the time for your excellent blog, when are coming to Australia to run a workshop?! Chris .. yup, I bounced my flash off that mess of colors. But since I am shooting in RAW, it isn’t a huge problem to get a pleasant WB. thanks, so I guess you set WB on about 3700 K rather than AWB or daylight 6500K so that the resulting image in camera would look fairly ‘normal’ then tweak if required in post production? Do you bother with colour checker cards or would you use white of her eye to set white point in post? (I am red-green colour ‘blind’ so I like to use a colour checker when I remember). Chris .. I didn’t gel my flash in this instance. I usually start by using the eye-dropper tool and clicking on my subject’s eyes to get some kind of white area. Bob, I rely heavily on the RAW file containing enough data to get to a pleasant WB. However, when you bounce flash off a deeply colored wall, (especially if blue and green), then there are gaps in the spectrum. There are some colors missing so you just quite can’t get a good WB. Then you have to do something else … off-camera flash; bounce flash into a reflector … or change the image to Black & White. i am new to photography. how do you get this number ? I want to know how to do metering ? i have been following your tutorial and i already fill up my handphone screen of shortcuts of your tutorials…hahaha…and it helps me a lot and continue learning from it. By the way any chance coming over here at singapore please let me know i just wanted to learn more from you in person..